My Cluttered Corner: CardMaker Magazine and Reverse Confetti Blog Hop! CardMaker Magazine and Reverse Confetti Blog Hop! 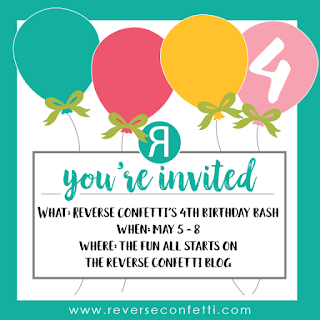 Reverse Confetti and the CardMaker Magazine blog have teamed up to help them start their 4th birthday celebration. Using coordinating Reverse Confetti stamps and dies, I created this card. Having the coordinating dies is fantastic when it comes to cutting out flamingo legs!! I added some Nuvo Jewel Drops on the water, on the flamingo wings, on the rocks and on the sun. Rebecca Keppel http://www.myclutteredcorner.com =======> You are HERE! Love your fun shaped card! Love the circle card! So perfect for those flamingos! What a cool shaped card! Very creative and so cute!!! Wow! Love the colors! This would be such a great tag! Fun to see a shaped card and your cheery beach scene is so colourful! I like the addition of the sand and the shape as well. Rebecca, this is super cute! Love the beach sand! So cute! I love the circle design. Love the circle shape---fun and different! This release is so cute! I just can't wait to get this Misso Happy set! How cute! Hugs. Those are some pretty skinny legs, but so cute! The paper pack has me sold. Loving this release. So cute. I Like the circle shape. hand! ;) Thanks for sharing your pretty card! I know the dies are very helpful for the skinny-legged flamingos. Cute card. Very cute card. Thanks for the inspiration. 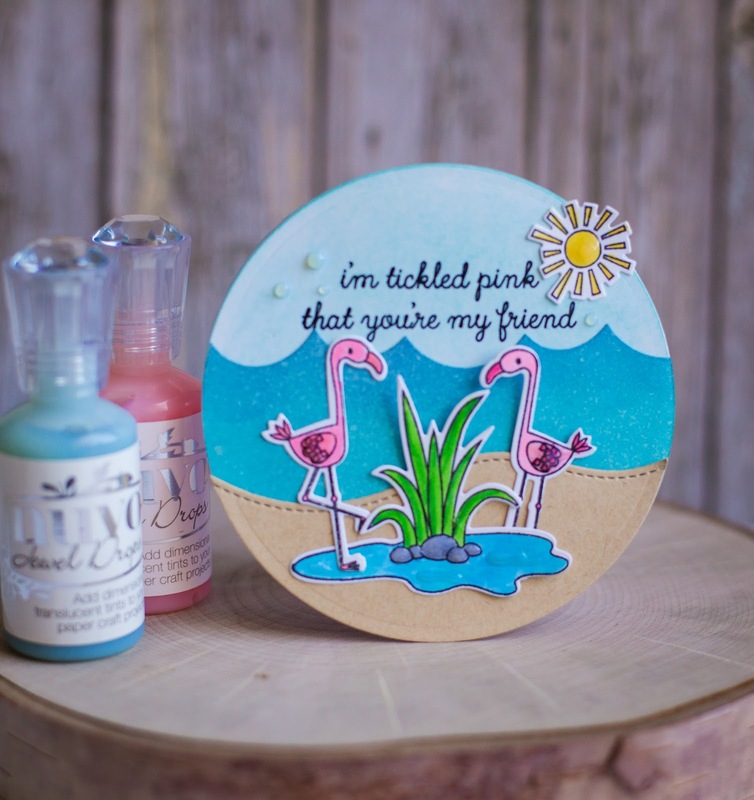 An adorable card, or tag for a summer gift! Such fabulous work, Rebecca. Thanks so much for sharing with us. Sweet flamingo scene! I like the round shaped card. Nice circle card. Love flamingos. Sweet circle card and loving these flamingos. The sentiment is cute and perfect. Love your great design idea. What a great card! Love that you did the circle and it's such a cute scene! The colors just pop. so much depth to the background. 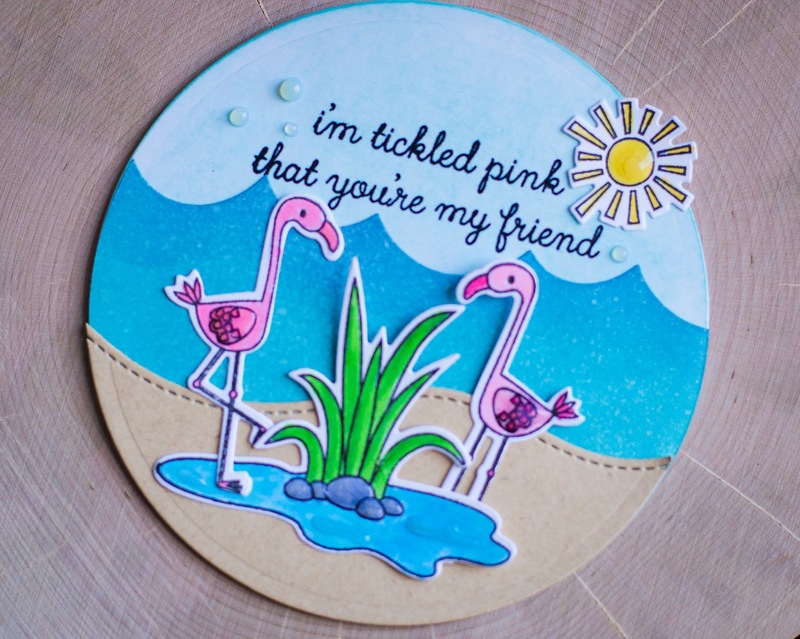 Beautiful card - I love how you created a shaped card, so perfect for these flamingos! Love your colors, patterns, and design. Another great release. I just love the flamingos. So fresh and fun.